It’s no secret that something went awry during the Federal Communications Commission’s net neutrality public comment period earlier this year. It was intended to let Americans weigh in on whether the FCC should repeal the 2015 rules that protect net neutrality, and more than 20 million comments were submitted online. But as we learned last week, a study from the Pew Research Center found that tens of millions of submissions were posted multiple times, and many came from email addresses that were used repeatedly. Many of the repeated messages likely came in response to calls for action from advocates such as John Oliver, indicating that the sentiments they convey may still be sincere. Other comments, however, carried more troubling implications: In some cases, commenters may have stolen the identities of real people in order to submit opinions. Want to find out if it happened to you? 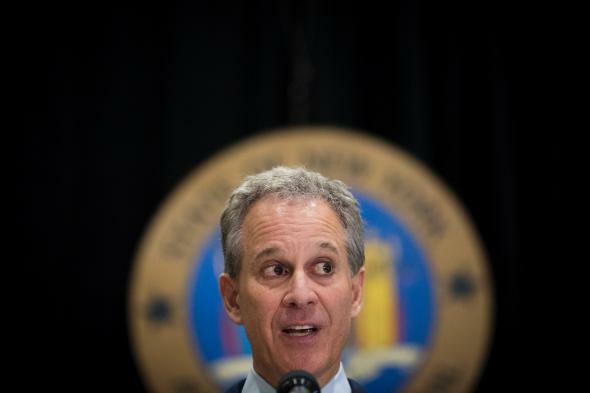 New York state Attorney General Eric T. Schneiderman, who has been an active opponent of Trump administration priorities, might be able to help. Last week, Schneiderman’s office posted a tool that allows you to check whether a name shows up in the FCC’s database of public comments. (If you have an especially common name, you may want to visit the FCC’s own site, which allows you to specify city, state, and other details that can help narrow your search.) Schneiderman’s site also links visitors to a page where they can submit information about false comments. The tool has yielded troubling results for many. In one Reddit thread, a user suggests that his or her name shows up in a pro-repeal comment with an address “from 15 years ago.” “My fake comment was littered with tinfoil references to ‘Soros’ and Obama. As this is a matter of public record, it puts my name on the wrong side of history,” the user writes. Many others describe similar discoveries in the thread, with one claiming, “My name and address was used ten times since July.” Others claim that they found comments “from” deceased relatives, seemingly substantiating reporting from earlier this year. But it may not be a purely partisan issue. A few Reddit commenters suggest that comments in favor of current net neutrality standards were submitted in their names. As CNN reports, however, the Pew Research Center “found 1.52 million comments with language that only appeared once in the FCC database in favor of the current rules, and only 23,000 against.” In other words, the vast majority of the comments that at least look authentic ask the FCC to preserve existing protections. On Monday, Schneiderman claimed that his office had already received close to 3,000 reports of false comments. In response, Schneiderman proposed that the FCC should delay its planned net neutrality repeal vote, a position shared by at least 28 senators and a Democratic FCC commissioner. According to Ars Technica, FCC Chairman Ajit Pai’s office responded dismissively to a question about calls for delay, describing net neutrality supporters as “desperate” and claiming that the vote would proceed as scheduled on Dec. 14. It’s possible, of course, that attending to public comments may leave us focused on the wrong issue. As April Glaser wrote last week in Slate, Pai has effectively embraced alt-right talking points in his call for net neutrality repeal. Meanwhile, Pai himself has been a pro-telecom opponent of net neutrality for years. At worst, then, fake repeal comments are probably just giving him cover for something he had every intention of doing anyway.